QTY This item is sold but a similar one may be available. 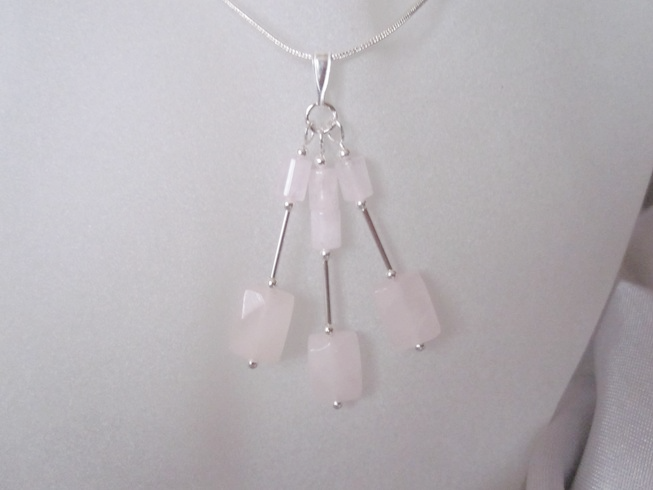 This very feminine pendant has been hand crafted using faceted baby pink Rose Quartz oblong beads and matching smaller tube beads. 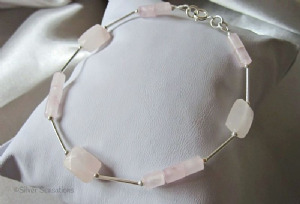 In between the Rose Quartz beads are Sterling Silver beads and tubes. 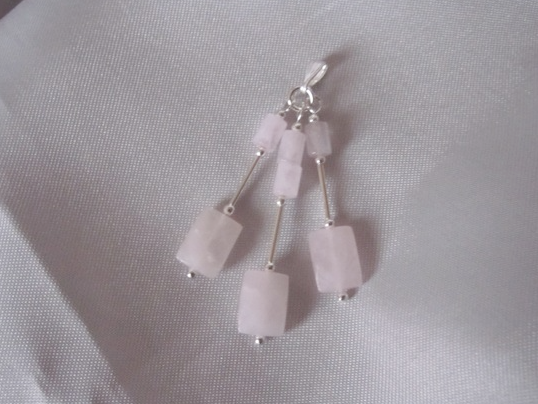 Hanging from a Sterling Silver jump ring and pendant bail, the pendant measures 36mm for the longest drop and 30mm for the shorter ones. 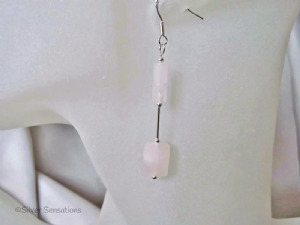 The length of the ring and pendant bail are approximately 10mm in total.